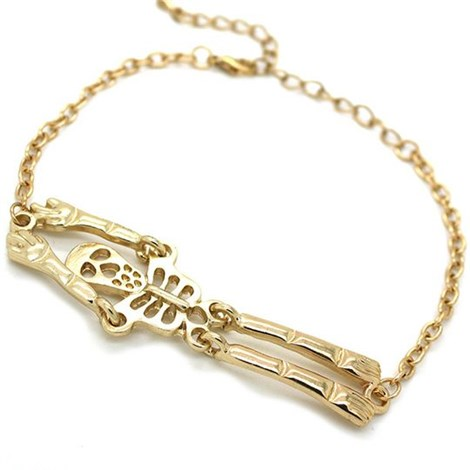 A fun gold skeleton body bracelet, which features a jointed skeleton and gold chain bracelet. •Skeleton measures 7 × 2cm in size. •Bracelet measures 19cm in length. •Comes with an adjustable chain length of 5cm. 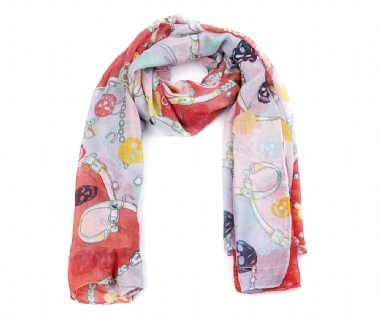 A quirky skeleton bracelet that is high in quality!